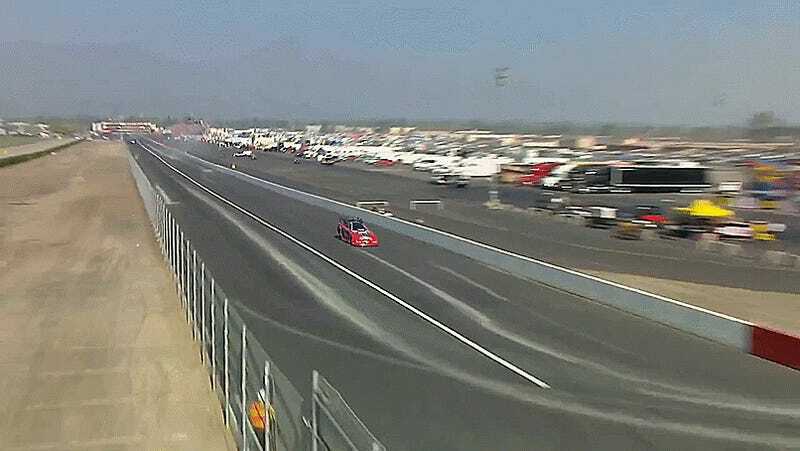 During a round of Funny Car qualifying at the NHRA season opener in Pomona, California, 69-year-old series veteran Gary Densham went barreling through the sand traps and into a safety net after his parachutes failed to deploy. Densham wound up 11th in the 16-car field with the run, originally slated to compete against Courtney Force in the elimination rounds later this afternoon. According to the NHRA Twitter account, Force now faces Jack Beckman.